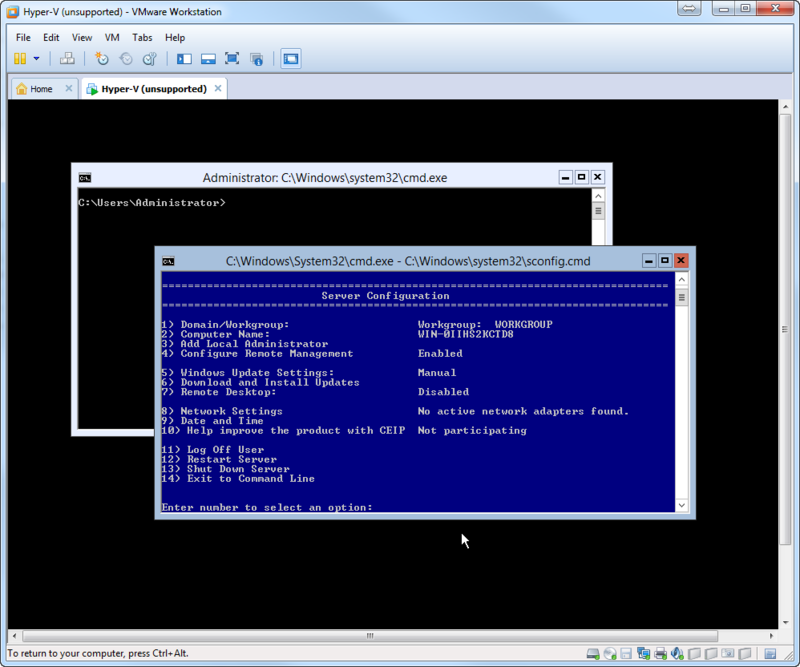 Need a Hyper-V Test Lab…No Problem! I just got done installing VMware Workstation 9 and found an awesome addition. 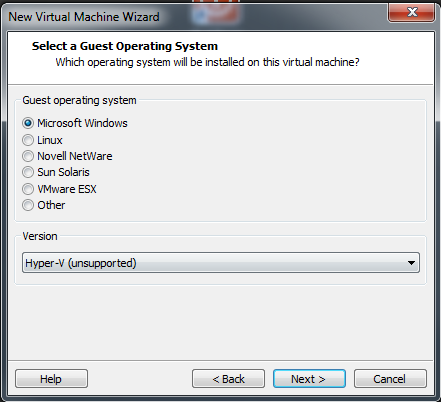 You now have the option to choose Hyper-V as the OS for your VM. This will create a VM that is customized to run Server 2012 w/ the Hyper-V role AND nested VMs OUT OF THE BOX! You do not have to perform any tweaks or modifications to get this to work like you did in previous versions of VMware Workstation. It’s listed as “Unsupported” but it’s still a great option if you only have 1 lab computer. 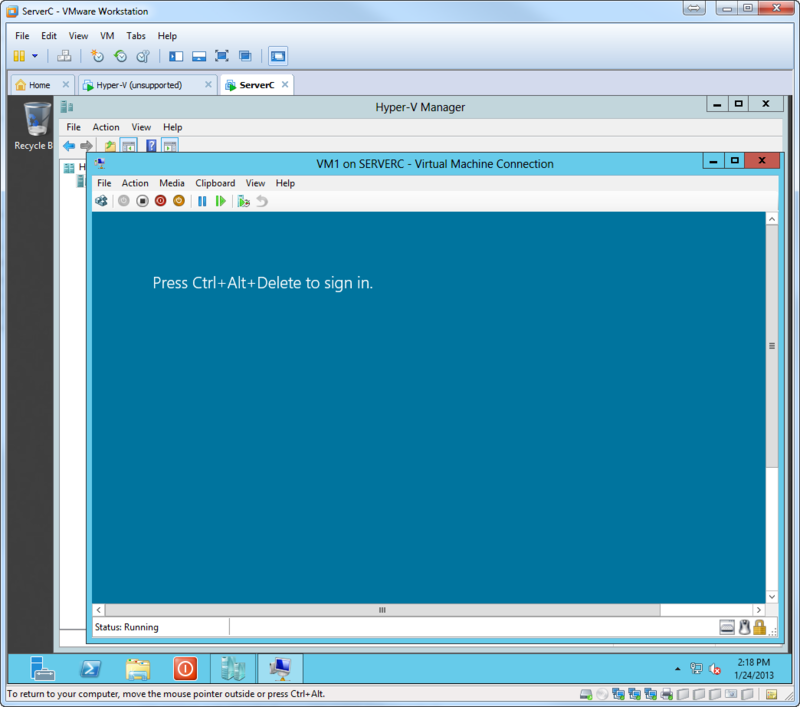 Another nice tidbit…The VMware Tools work in Windows Server 2012. Two caveats…VMware Workstation is NOT free, but I think it’s worth the cost. It’s the best-of-breed hosted (Type-2) virtualization app IMHO. You may be able to do this in Virtual Box as well, but I just haven’t tried. Let me know if you get this to run in Virtual Box. Also, you need to have a 64-bit processor that has all the latest virtualization extensions. Are you looking to step up your game?